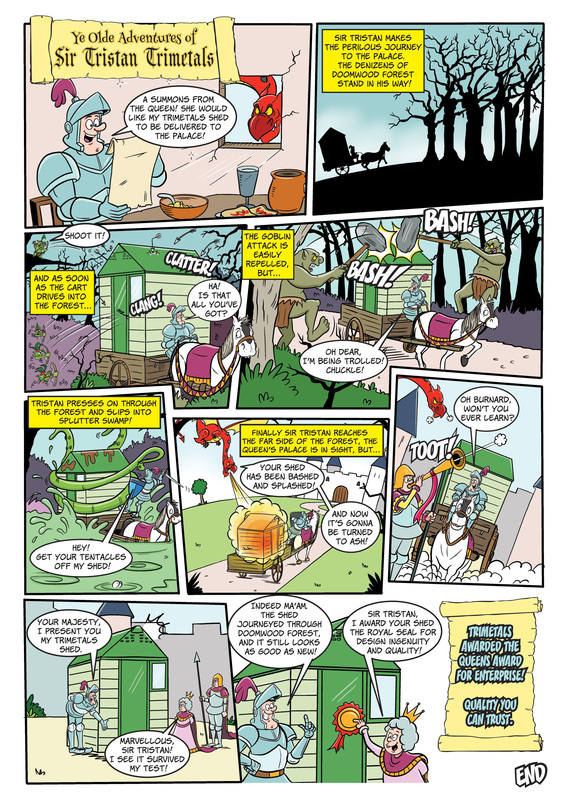 In his latest adventure, Sir Tristan receives an invitation from the Queen to visit the palace with his armoured shed. Bernard the Dragon has other ideas and warns the creatures of Doomwood and Splutter Swamp that Sir Tristan will be venturing through. Despite Bernard’s usual threats, the monsters are not able to stop or damage the shed; even a last gasp of fiery breath from the dragon has no effect. The Queen is delighted that the shed has arrived unscathed and awards it with the Royal Seal for Design, Ingenuity and Quality.